QUICKIE TOUR! A fascinating tour through time. Discover the sounds, smells and sights of the Old Lisbon while visiting the beautiful Alfama district. Choose your preferred language! BELÉM TOUR! Pure joy along the riverside! A wonderful tour to Belém where you’ll find an ensemble of iconic architecture and monuments related to the Age of Discovery. Choose your preferred language! BESTSELER WITH FOOD TASTINGS! 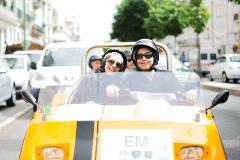 This tour combines the best of Portuguese gastronomy with the best views and Lisbon’s main attractions. Visit Alfama, Graça and Baixa and taste delicious snacks along the way. Choose your preferred language! A fascinating tour through time. 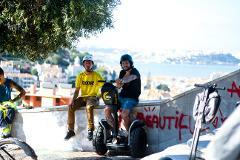 Discover the sounds, taste and sights of the Old Lisbon while visiting the historic quarters of Alfama and Mouraria. Choose your preferred language! This combo tour will improve your experience! 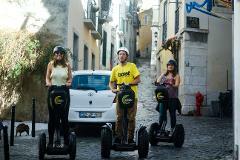 Combine a GPS self-guided GoCar with the eco-friendly Segways that are fun and easy to ride.